A queer talk and music show exploring queer media, pop culture and current events- hosted by Ley Fraser, a non-binary queer woman with a Master's in Gender Studies and a lifetime of gaiety. 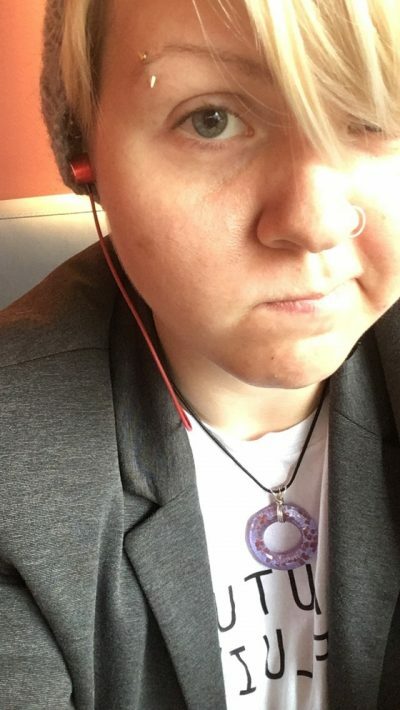 About Ley: I've previously co-hosted another queer talk show called Queer Quarks: Beyond the Binary with Karen McDowell at UNBC, and worked as a gender advocate and educator for Transform: Trans and Non Binary Youth and Family Support (out of Northern BC) and been involved with Pride organizations for a number of years. I enjoy talking about queer topics, and I have a lot of opinions; I try to be as balanced and circumspect as possible (especially if I am not a member of the group I am talking about) but I encourage you to think critically about the issues, to check out source materials, listen to marginalized groups (especially about their own experiences) and respect the identities of everyone around you (because literally why not, it is free, there is no reason not except being a tool). EXCEPT if the question is abusive, inappropriate or intentionally ignorant (there are two+ genders; this is based on observations of manifestations of gender across the globe, not your opinion) I will gonna ignore it/not talk about it on the air/or talk about it and criticize you.